Election Day is tomorrow and Memorial Day is observed at the end of May. 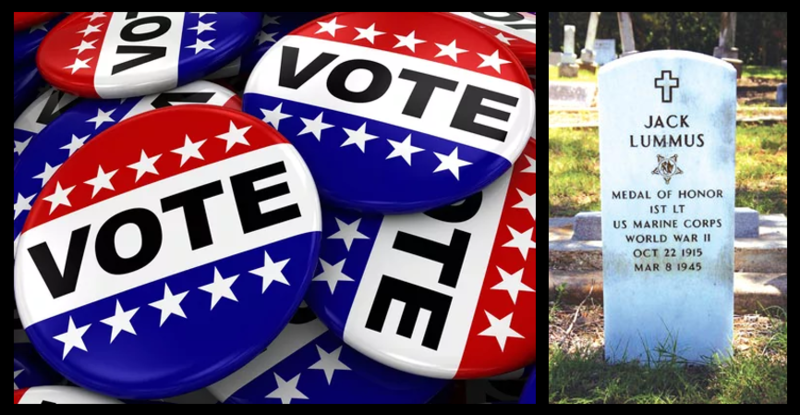 There is an intersection of those two hallowed days tomorrow in the United States — our right as Americans to vote, a right preserved by an untold number of Americans Killed in Action or Wounded in Action. As a veteran, I look at voting as a DUTY of citizenship — by voting each citizen honors the sacrifice of Americans that he or she will never know, who selflessly preserved that right, sometimes at the cost of their only life. Do your duty: VOTE.